HawaiiGolfDeals.com has a long-standing policy of protecting the privacy of customers in its business operations. HawaiiGolfDeals.com has the responsibility to protect the confidentiality of the content of any information transmitted over the HawaiiGolfDeals.com network and safeguard the use of information that customers may reasonably expect us to keep private. If you have any questions or comments please Contact Us. To support our policy, HawaiiGolfDeals.com has developed the following customer information principles to guide business decisions and sustain the trust consumers have in the HawaiiGolfDeals.com brand. These principles seek to balance the application of information age technologies with the privacy concerns of consumers. 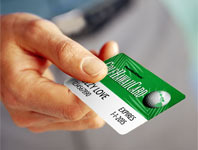 HawaiiGolfDeals.com safeguards customers’ information from unauthorized access. HawaiiGolfDeals.com honors consumers’ requests to remove their names from our telephone or e-mail solicitation lists. HawaiiGolfDeals.com strives to keep customer records current and accurate. HawaiiGolfDeals.com collects, maintains and uses customer information that is necessary to provide the most helpful and personalized products and services to meet consumers’ needs. HawaiiGolfDeals.com does not sell the names, addresses or phone numbers of its customers and maintains confidentiality of customer information when undertaking projects with other companies. In developing new products and services as well as enhancements to existing offerings, HawaiiGolfDeals.com takes into account consumer expectations and input regarding the appropriate use of customer information. Plan your Hawaii Golf Vacation by contacting HawaiiGolfDeals for air, ground transportation, lodging (resorts, hotels and condos/villas) and general Hawaii travel information. Book the Best Hawaii Vacations with us and save. Our knowledge of Hawaii accommodations, tourist attractions and the Hawaiian landscape ensures you’ll enjoy a great Hawaii experience . You can select and enjoy the best of Hawaii Golf and Hawaii attractions, including Oahu tours, Big Island Hiking, Kauai Sport Fishing, Honolulu Food Tours, and Sunset Cruises. Your Vacation in Hawaii will be an experience you and your family will never forget. If you’re a golfer, you’ll be playing wall-to-wall golf in the Hawaiian Islands. It doesn’t get any better than this. 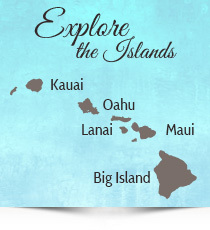 Book the best Golf Vacations in Maui, Kauai, Oahu and Big Island today.